The skirt parts look like plastic, the chest and the shoulders look like stickers. But they made a big deal out of the Leo having "no stickers," so maybe there's hope? It is certainly possible that all of the main Wing suits will be released in High Grade form. The only caveat will be whether or not Bandai chooses to produce them. As an example, a template exists for the Gundam Leopard in the form of the Gundam Leopard da Vinci but Bandai has yet to produce a Gundam Leopard. ^ At the very least I suspect we'll see the Altron released in the near future given they already have most of its runners in a 2018 HG format thanks to the Jiyan Altron and tellingly the non-Jiyan specific runners are simply labelled "Altron". Bandai has been very careful with their releases in order to sell P-Bandai variants to maximize profits. With the upcoming Maganac, I wonder if they will release the other custom Maganac units (Rashid, Abdul, Auda and Ahmad) as separate P-Bandai releases, P-Bandai set or P-Bandai parts set? They'll mostly release them as complete kits. 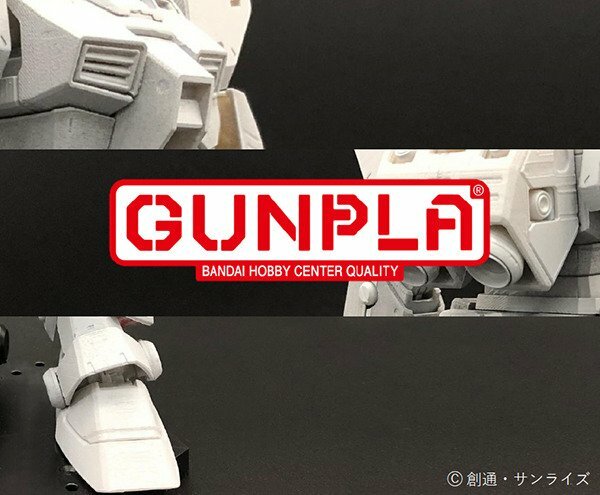 I just hope if they do a new hg heavyarms it's not a p bandai kit. Lol, I saw "Gundam NT" and was like "But the Alex wasn't in Narrative...oh wait." I would have to guess that this is a Master Grade 2.0 of the Gundam NT-1. PLEASE BE A MG 2.0 AND PLEASE PLEASE LET THAT LEAD TO A MG ZAKU FZ!!!! I really don't like that side detail on the backpack. I am hoping so much that it is a MG 2.0. And if it lead to a Kampfer 2.0 I'd lose my mind. The Alex and Kampfer are some of my absolute favorite units. Im legit trying hard not to get excited. Id fuggin flip. Imagine a MG Kampfer with proper line art proportions and a LED for the eye and full loadout. Oh may lawd yes. Knowing bandai though they would make the build fighters version then years later release the anime ver as a p bandai. Judging by the elbow joints, the chest armor, and the thruster bell I'd say it's a new mg Alex. I could be wrong, but I don't think I've seen a hg with 2 piece thruster bells. I'd like a new mg kampfer and zaku kai. @Rxslinger: That is my thinking as well. It definitely looks like the thrusters have an insert of some kind.